This wasn't my favourite Sharpe book. 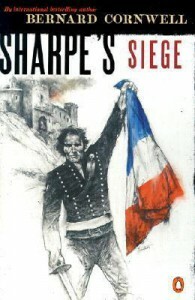 It had its moments and I liked the ongoing tension as Sharpe worried about Jane, but I thought the overall plot was on more flimsy footing than most of the other books. If Ducos is supposed to be such a brilliant adversary, he should have been better than he was in this story. That being said, I still very much love this series and will read the rest.